Beans! Can you tell I love them? As a vegetarian I ate beans a lot! But, it’s also second nature for me because they were a staple food in our home. 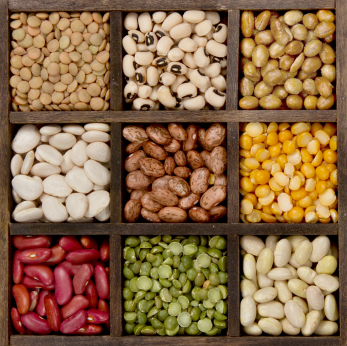 Rebecca Wood says, “a bowl of beans is a more universal image of nurture than a loaf of bread. Unpretentious, filling and warming, a pot of beans, peas, or lentils simmering on the back of the stove evokes home cooking at its humble best.” I couldn’t agree more. There seems to be some mystery about beans if they aren’t part of your traditional diet. Admittedly, dried beans can be a bit intimidating. If they aren’t cooked properly their consistency will be off, they may not sit well, and they may not be digested well. There are a few little secrets to know about beans. Once you know them, making them a regular part of your diet will be easy. Most beans need to be soaked.